“I believe that education nurtures young minds with freedom & knowledge. And that could be achieved with my simple and a powerful vision of offering the best training and empowering every teacher with the skill most required. I strongly feel that a personal development for both instructors and students in a learner-centered environment is of utmost importance”. 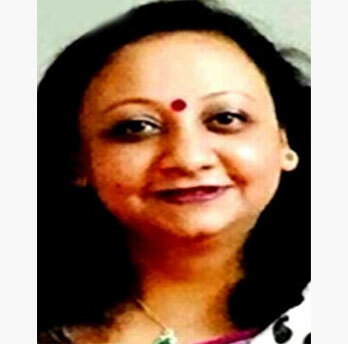 I have been an educationist for more than fifteen years and have handled various roles throughout my career; from the field of early childhood education to the middle years’ program. I have successfully done so, all the while assuming the myriad onerous tasks that come with being a parent, teacher, administrator and a Program Director. I am also a certified Trainer and a child /student counselor. Along with my engagement as a Master trainer with Global Leadership programs, and as a consultant to schools on the best-suited pedagogies, curriculum and learning Environment, I work to empower and train teachers for pre-school in Montessori. As an Edupreneur, I took this mission on when I realized that there exists a lack of Montessori trained teachers in Noida even though many schools were looking to hire teachers with this background. In past I have been extensively involved in school set ups for Birla and Paras Groups in various locations like Patna, Hyderabad & Gurgaon. International Baccalaureate programe for primary years has been very close to my heart and I was one of the earliest to have set up an IB PYP /MYP curriculum in school at the times when IB was just setting its foot into Delhi NCR. Sutra- the learning thread is a project that is very close to my heart .Through our training center I along with my team wish to support, guide, facilitate & help teachers, to-be-teachers, Principals and upcoming schools who require counselling, guidance and support.